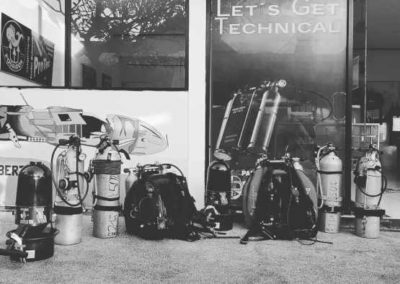 Fun Divers is a thriving and vibrating SCUBA Instructor Training Center offering dive courses and fun dives in a safe and relaxed manner. 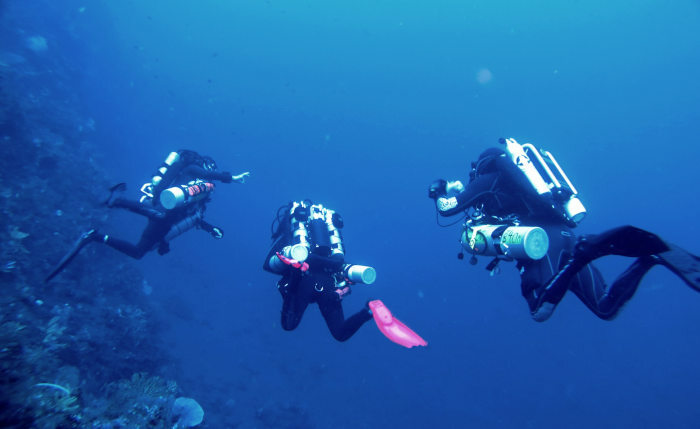 The instructor team is highly qualified and able to teach full range of SCUBA course including Divemaster and Instructor Training. 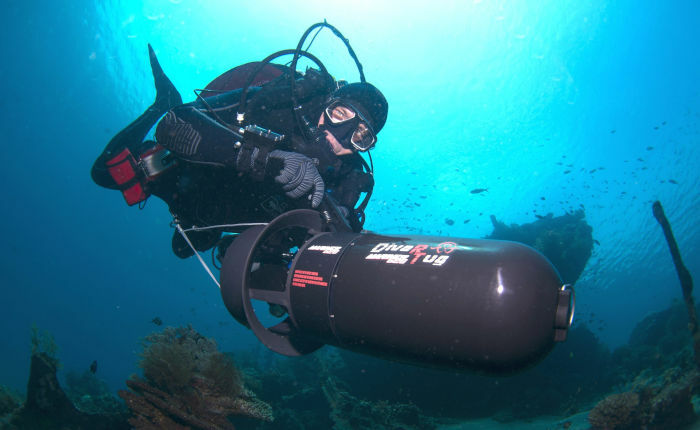 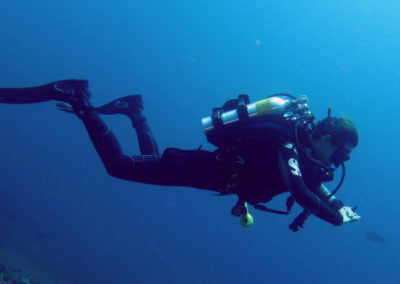 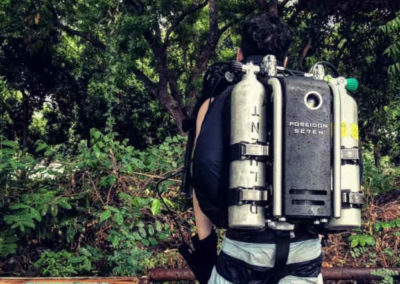 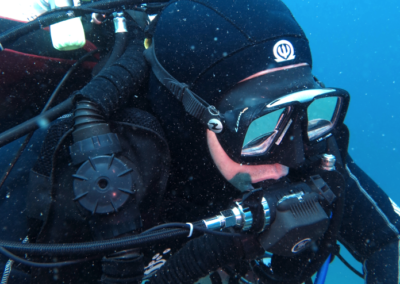 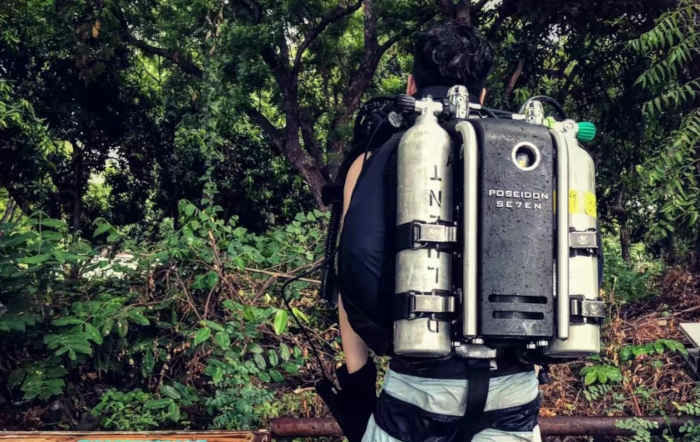 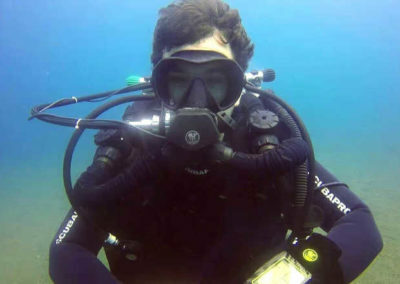 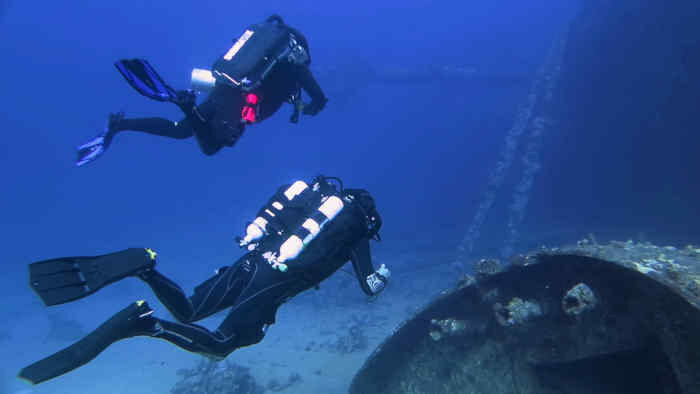 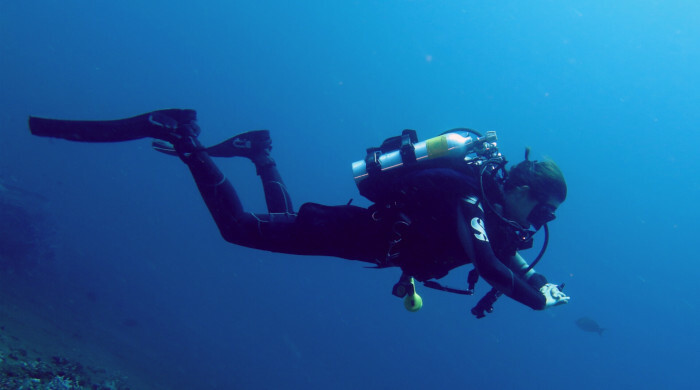 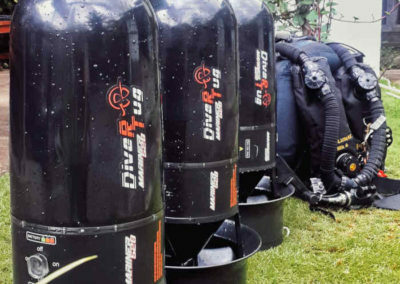 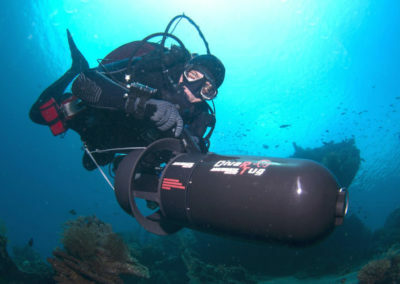 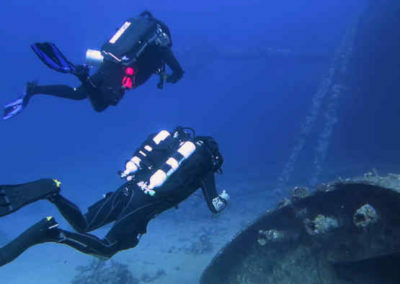 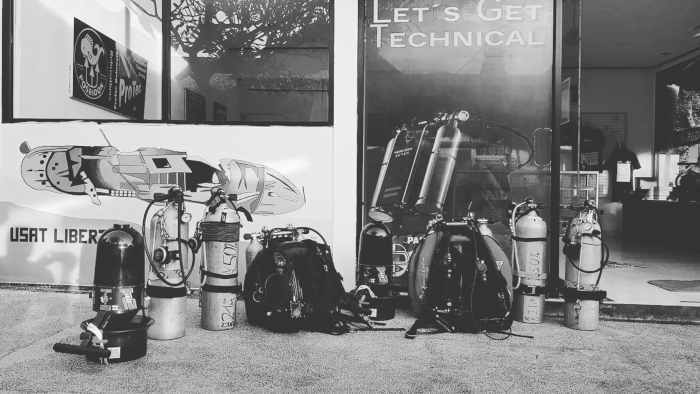 Moreover, as one of the very few technical and CCR rebreather-friendly Instructor Training Center in Bali, Fun Divers Bali is able to provide Nitrox, Pure oxygen, Helium, Trimix and also offer Sidemount gear, DPV/Scooter, CCR unit rent. 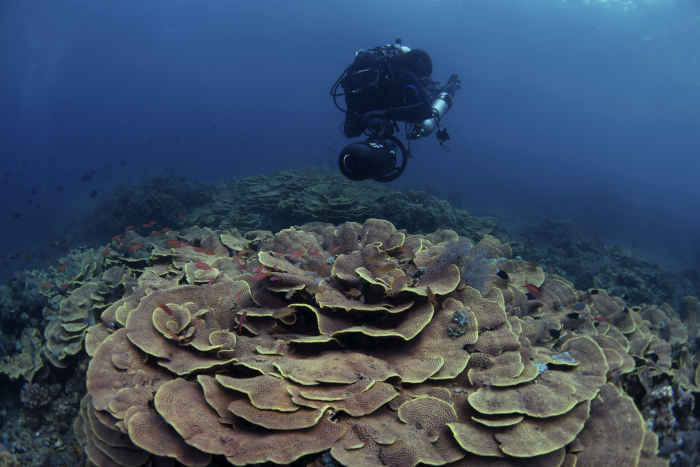 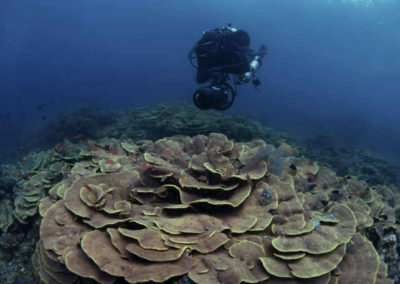 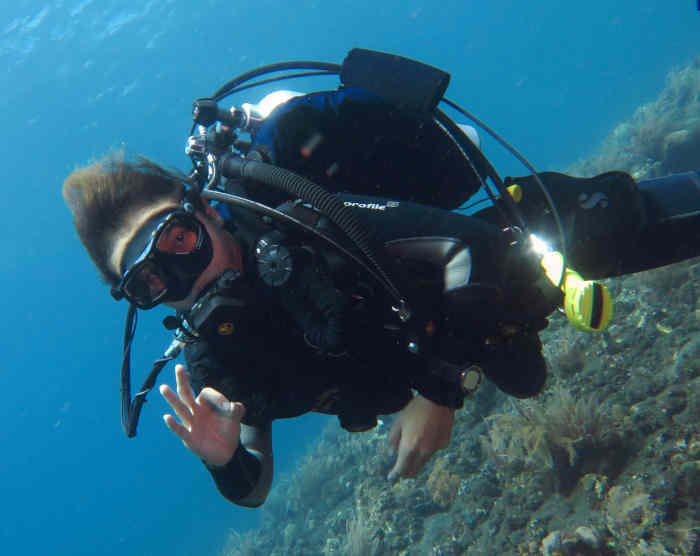 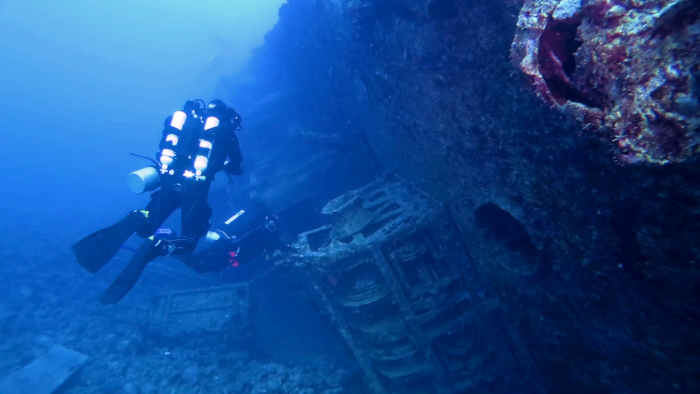 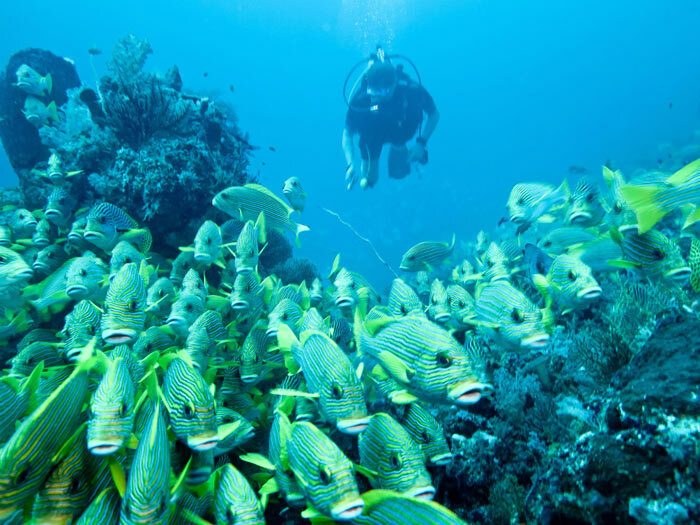 Fun Divers Bali is well located in the middle of all 25 dive sites in Amed and Tulamben area. 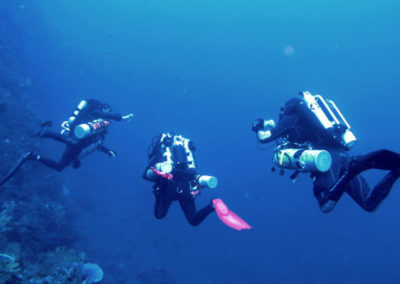 Instead of 2.5-3 hours driving distance from southern Bali, all best dive sites here are within 25 minutes from Fun Divers Bali. 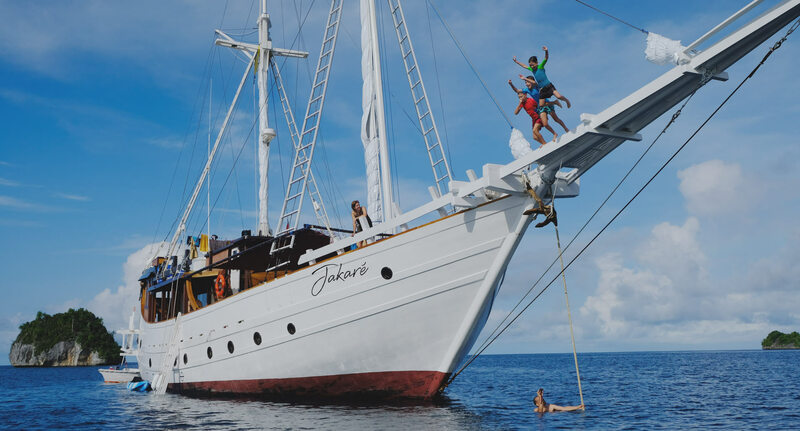 This saves time to enjoy more of your holiday, after a diving day, you still have a stunning sunset, a cliff bar happy hour, and the beautiful view of the coastline to enjoy. 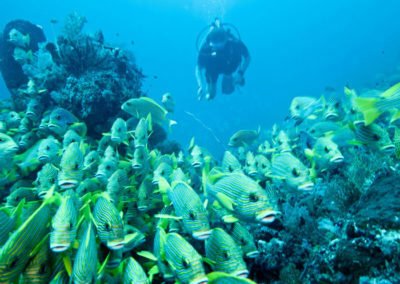 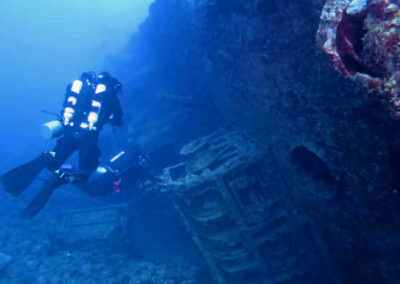 During the past 20 years, Amed as a sleepy fishing village has developed into a thriving dive community. 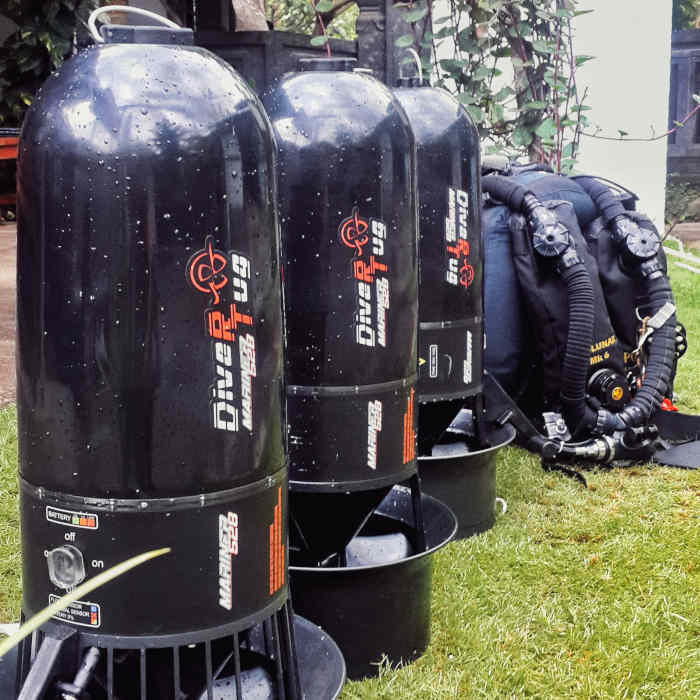 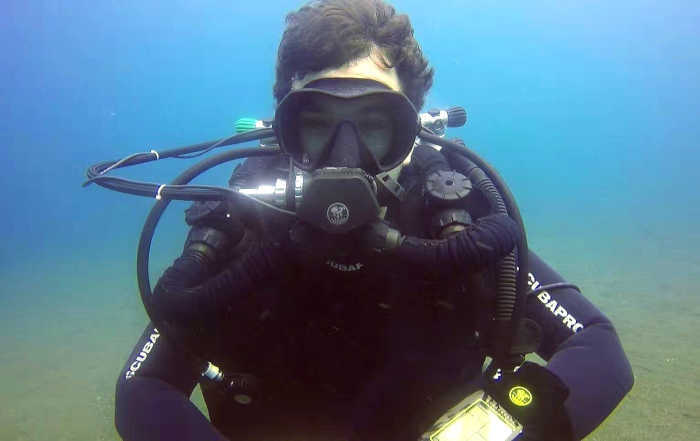 We are trying our best to be a responsible business and devoted to nature preservation, encourage local youth get into the diving industry and increase the environmental awareness in the community. 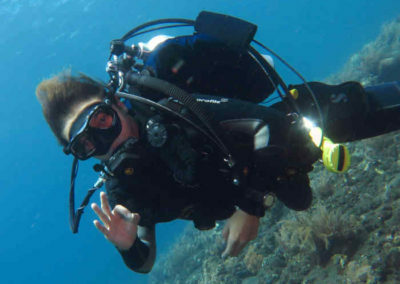 Your SCUBA fun is guaranteed with Fun Divers Bali, please don’t hesitate to join us!